The experiment is at an end, and judged on looks alone it is a triumph – those grated golden curls couldn’t be more lovely. But on flavour, we have a hung jury. The effect of these flecks of proteinous gorgeousness on pasta or in a salad is very good indeed, I just wish it was more umami, a lot less sweet. In my research I found that people who tweaked the traditional 50/50 advice tended to up the amount of sugar. Not me. Next time I’ll try it with no sugar at all and see how much better that is. And maybe a control specimen somewhere in between, say at 75/25. So, perhaps the experiment isn’t at an end after all. There’s always a spare yolk around somewhere – and it has to be said there is something truly fabulous about being able to grate an ingredient I have always thought of as a liquid over my food, even if it is a tiny bit sweeter than I’d like. It’s definitely my new store cupboard staple. 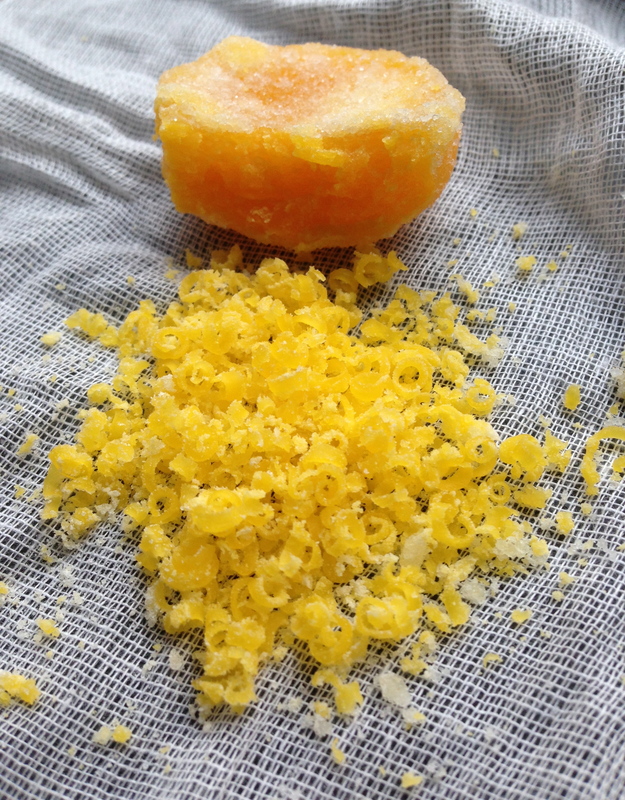 For a full summary of the process, look at my recipe page for Cured Egg Yolk. Previous Post Crispy lichens and cured egg yolks – the forbidden experiment?